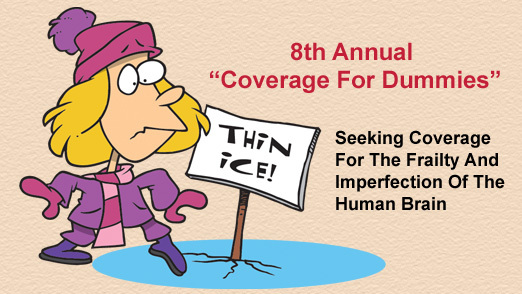 Declarations: The Coverage Opinions Interview With Cyril Wecht, M.D., J.D. 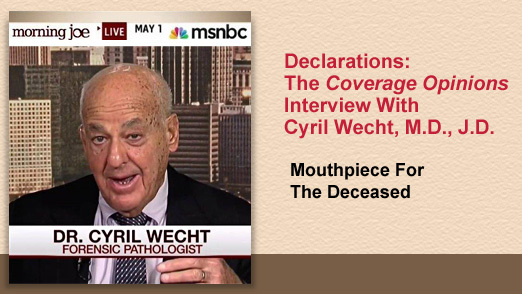 Renowned Forensic Pathologist Dr./Lawyer Cyril Wecht has spent sixty years figuring out how people – including many famous ones – died. And he’s spent 50 on how JFK didn’t. Dr. Wecht talks to Coverage Opinions about a career like none other, the magic bullet, how forensic pathology has changed, what 60,000 autopsies teaches about how to live longer and Dr. Quincy. · Congratulations To John Grisham: Who Says Proximate Cause Is So Hard To Understand? 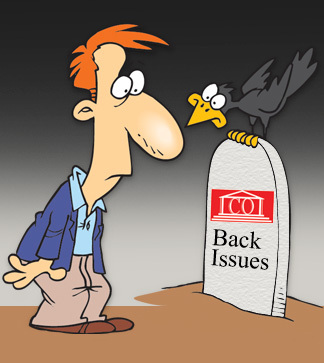 The Black Friday Door Buster Continues: Insurance Key Issues 3rd Edition For Half Price!